Single song available through digital download. Released on 6/21/16. 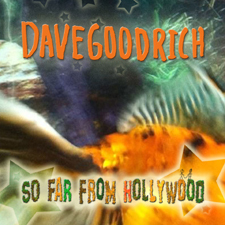 This rock homage to everyday heroes showcases Dave Goodrich's musical abilities with hot guitar tracks, strong vocals, and thought-provoking songwriting. Engineered by Dave Goodrich and Chris Salamone, who also mixed the tune and played the drums. Electric bass provided by Rich Amoruso. Mastered by Sage Audio.